The AgriTech Challenge is an annual competition that encourages young entrepreneurs to take a fresh look at the agriculture value chain and identify new areas of business opportunity. Out of 14 teams that made it to the second pitch and elimination event on 28th June 2018, just eight promising businesses were selected to continue. An expert panel of judges called the Ideation Team assessed the business viability of each idea presented on the day. Farm Cure, which resolves challenges with pest control; Soil Solution, which takes care of challenges with soil quality; Growth Factor, which provides access to finance information; Tech Shelta, which renders farm management services; Lojaanor, a market linkages facilitator; Alpha (rotate), which provides access to skilled labour and information; AgroSol, an agro-processing and market linkages provider and Quidex, which gives access to finance information. 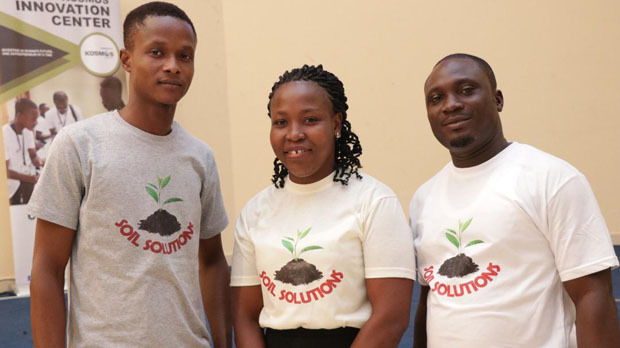 The surviving teams will now have three months from July to September to develop their business concepts further and develop a Minimum Viable Product (MVP) before the final pitch. The objective of this is to ensure that the entrepreneurs have viable prototypes of their products ready so that they can be tested by potential future users, customers and investors. Some Ghanaian and international companies and institutions were invited to attend the pitch event in June, including Puma Energy, OCP Africa, Ministry of Food and Agriculture, RMG-Ghana, KOICA-Ghana, YARA and the Netherlands Embassy. Joe Mensah, VP and Country Manager for Ghana, encouraged corporate Ghana and other institutions to join hands with Kosmos Energy to support youth-led businesses to grow and develop just like Bank of Ghana and the Meltwater Entrepreneurial School of Technology (MEST) did in 2017.